Lagoa property: budget or bling? Whatever your budget, if you’re thinking seriously about a new life in the sunshine, or just a holiday home, Lagoa in Portugal’s central Algarve is a great option. Easy to reach and even easier to love, Lagoa is close to the sea, the River Arane, wonderful countryside and exciting resorts. But what about property in Lagoa? Lagoa is one of those places that demonstrates how the Algarve has something for everyone, regardless of their property budget. The popular town is just five kilometres inland, within easy reach of several of the region’s most stunning cove beaches. The popular resort town of Carvoiero just a ten minute drive away. Here, the busy cove beach is surrounded by seafood restaurants and bars. These include the breath-taking Praia de Marinha, a leading destination for snorkeling thanks to its crystal clear water and cave formations. Or, for something a bit more lively, there’s the popular resort town of Carvoiero just a ten minute drive away. Here, the busy cove beach is surrounded by seafood restaurants and bars. As well as being an exciting destination for long stays and permanent living, moving to Lagoa is very practical too. It’s just a 40 minute drive from Faro airport. This makes it easy to take to trips to the UK. It also means that airport runs for visiting family members are quick and easy. Lagoa is also home to the Algarve’s Nobel International School, the largest and oldest such institution in the area. If you have children, this renowned school can deliver a world-class education. The area around Lagoa is dotted with amenities. These include leisure facilities such as golf courses and – for the thrill-seekers – a huge water park called Slide and Splash. There are also plenty of shops, both large and small, with the shopping malls, DIY stores and garden centres of Guia just 20 minutes away. Need a mortage? Our trusted partners have over 20 years’ experience helping people like you to get the best mortgage possible. 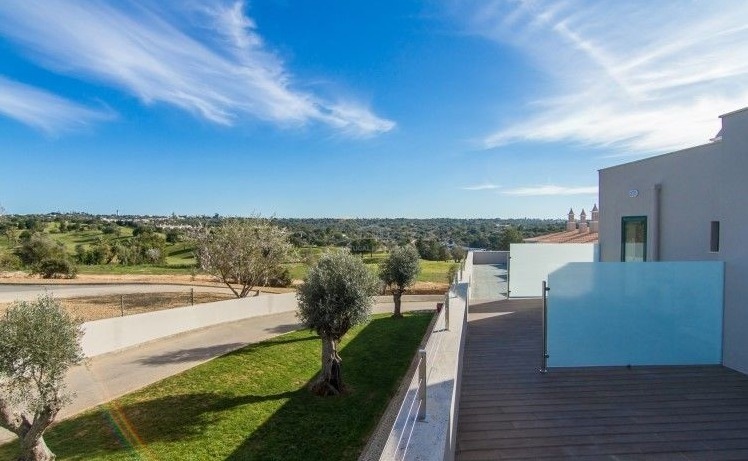 If you are fortunate enough to have a high budget to move to Lagoa, this stunning property, on the market at €795,000, is a good example of what’s on offer. It’s a secluded villa with five bedrooms. The accommodation is laid out in such a way as to provide the guest suites with plenty of privacy – both for your visitors and for you. There’s a substantial heated swimming pool and a large games room with foozeball, pool and table tennis. There’s even a bar area in the lounge! The whole property is beautifully secluded and accessed via electric gates and a driveway. Despite this seclusion, the home is near enough to the centre of Lagoa that you are able to walk to shops, bars and restaurants. Golf in the blazing sunshine with a view over the Atlantic? You won’t care if your short game’s a bit disappointing with views and weather like this. If it is though, there are plenty of golf academies in the area. Pop up to the SIlves Golf a little further inland, or the Pestana course near Carvoiero to the south. Yachting in British waters may be described as like standing in a cold shower ripping up £50 notes. In the Algarve it’s that bit more luxurious, although still not cheap. You have a choice of marinas near Lagoa. The nearest really good one is Marina de Portimao. Another 25 minutes’ drive along the coast is Lagos Marina (it’s easy to mix up Lagoa and Lagos, so do beware when programming the satnav!). Lagos Marina has won several awards, including the prestigious 5 Gold Anchor. The marina is lined with bars and restaurants. You’ll have worked up an appetite! There’s nothing wrong with barbecued sardines on the beach, but when you want a bit of haute cuisine, you have your pick of Michelin-starred restaurants around Lagoa. Less than 15 minutes drive away is the exclusive Vila Vita Park resort. There are ten restaurants to choose from, including the two-Michelin-star Ocean, and the atmospheric wine cave (Cave de Vinhos). There are also local chefs winning acolades at Vista in Portimao and Bon Bon in Carvoeiro. Bling or budget, don’t get ripped off! 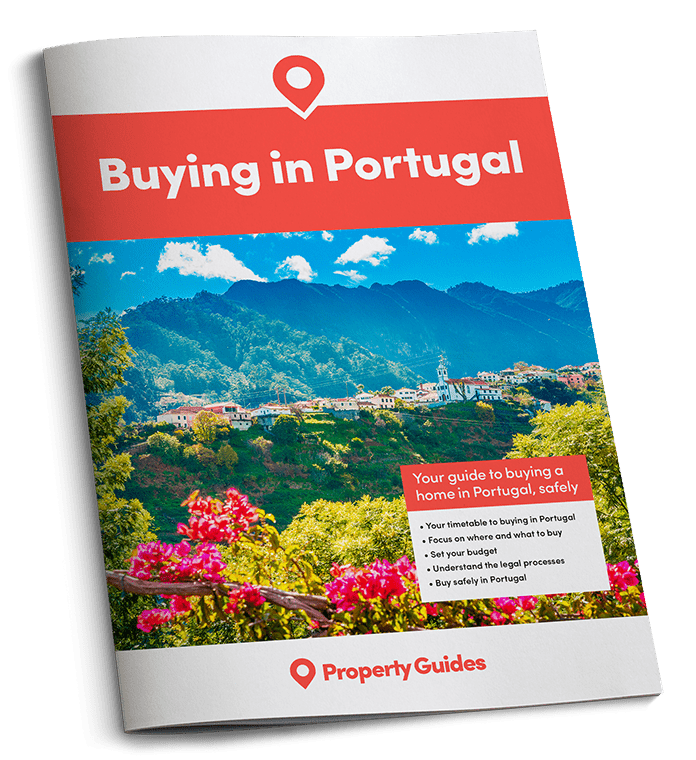 Read our guide, How to Negotiate Abroad, for essential tips on how getting a fair price and a better house for your money. Moving to Lagoa is still a great option if your budget is a little smaller. This studio apartment with lovely views comes in at just €165,000. It’s a pretty generous size for a studio, with over 56 square metres. Not that you’ll be indoors much, as the apartment has a communal pool, gym and spa. A personal recommendation is to take the children to the beautiful Parque Infantil on the banks of the Arade river. While the children amuse themselves, you can watch the boats go by and read a good book. Grab a snorkel and head for the waters around the stunning Praia de Marinha. Swim in the caves and spot the wealth of underwater life in the area. If you’d rather not get right into the water, kayaks and cave tours are other good options. The Atlantic ocean around here is much more fun than the Mediterranean. You’ll see dolphins and whales if you’re lucky, and there are fish to catch for your tea. Get some cheap wine! Go direct to the local vineyard and you can get a bargain, as well as a taste before you buy. Take a few bottles back to enjoy with a beachside barbecue and your own freshly caught fish. Lagoa is one of many places where you can live a wonderful life abroad regardless of your budget. For more information on moving to Lagoa and elsewhere in the Algarve, check out this article.